Motherwort (Leonurus cardiaca) is a perennial plant native to Europe and temperate parts of central Asia. It has been introduced into North America and now grows wild there. 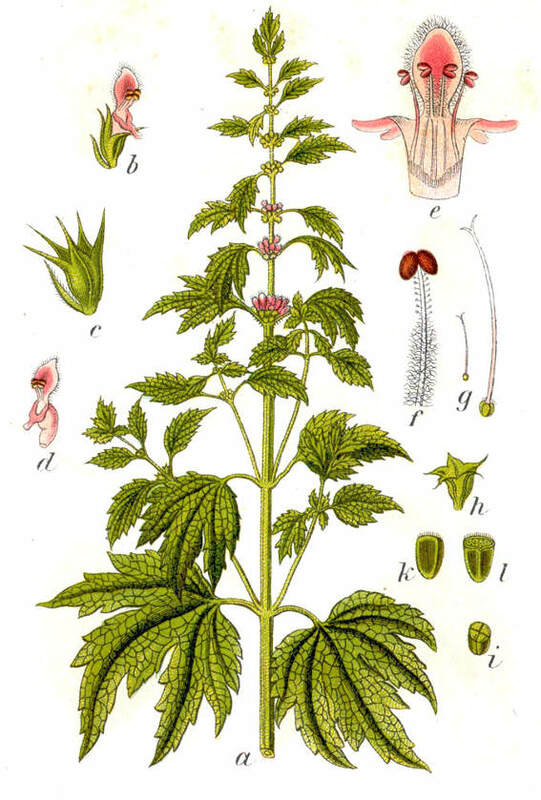 A different species, called Chinese motherwort (Leonurus heterophyllus), is used by Chinese herbalists in many of the same ways as Leonurus cardiaca is used in the West. Motherwort grows mainly in poor soil or on wastelands, although it is sometimes cultivated in gardens. The plant grows to about 3 ft (1 m) tall. It has a stem that is often red-violet in color and hairy. The hairy, palm shaped leaves are a dull green, with the upper surface darker than the under surface. The small flowers range from white to pink to red depending on the plant. Flowers and leaves are dried and used medicinally. The leaves are at their most potent when harvested just after the plant flowers. Motherwort is also the source of a dark green dye. The plant has astringent properties and an unpleasant smell. Other names for motherwort include lion’s tail, lion’s ear, throw-wort, heartwort, and yi mu cao. Motherwort has a long history of traditional uses in many different cultures. The Latin name, cardiaca refers to the heart, and motherwort has traditionally been used to treat heart-related conditions. These include nervous heart complaints such as palpitations, cardiac arrhythmia (irregular beat), and fast heartbeat. It has also been used as a general tonic to strengthen the heart and to treat cardiac insufficiency. Modern herbalists continue to prescribe motherwort for these conditions. Motherwort is also used as a mild general sedative, as a calming agent, and as a treatment for epilepsy. Scientists have isolated many different active compounds in motherwort. Leonurine and stachydine, both found in the herb, have been show to lower blood pressure and calm the central nervous system in studies using laboratory animals and animal hearts. Scientific investigation into the central nervous system and cardiac effects of motherwort is ongoing with mixed results. The German Federal Health Agency’s Commission E, established in 1978 to independently review and evaluate scientific literature and case studies pertaining to herb and plant medications, has found that there is adequate evidence to suggest that motherwort is effective in the treatment of certain cardiac conditions. Motherwort is also used to treat female conditions related to menstruation and childbirth. The herb is often given to stimulate menstruation when it is absent (amenorrhea) or irregular and delayed (dysmenorrhea). At childbirth it is taken to aid labor, and after childbirth it is given to help the uterus relax and return to normal. There appear to be no scientific studies that specifically relate to the effects of motherwort on the reproductive system, so these traditional uses of the herb can be neither confirmed nor denied. 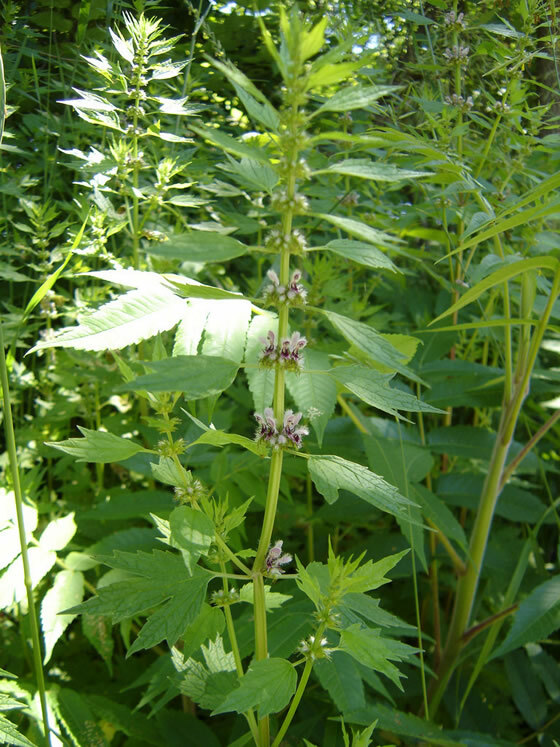 Other Western uses of motherwort include as a treatment for asthma, hyperthyroidism, prevent gas, and treat insomnia. It is also used externally as a douche for vaginitis. Chinese herbalists use Chinese motherwort to treat problems of the heart, liver, and kidneys. In addition to the heart and reproductive uses known to Western herbalists, Chinese practitioners use motherwort to treat water retention, in conjunction with other herbs, such as hawthorn, to prevent stroke and to treat certain kinds of eczema. Some Chinese researchers have reported that Chinese motherwort, Leonurus heterophyllus, can prevent blood clots. Motherwort is an ingredient in several common Chinese herbal formulas, including leonuris and achyranthes. In a 1999 study published in the Archives of Pediatric and Adolescent Medicine, researchers reported that a traditional Chinese remedy of 21 herbs, including motherwort, successfully treated symptoms of chronic nephrotic syndrome and lupus nephritis in an adolescent girl. The results were promising enough that studies are ongoing to test the effectiveness of these herbs in people with systemic lupus erythematosus (SLE). Motherwort is normally prepared by adding about 1 tsp of leaves to 1 cup (8 oz or 250 ml) of boiling water. The resulting infusion is taken twice a day. This infusion has a bitter and unpleasant taste. Honey, lemon, or other flavorings may be added to make its taste more acceptable. Motherwort is also available as a tincture. The normal dose is 1 ml (39 drops) three times a day. Pregnant women should not take motherwort because of its effects on the uterus. Women who have heavy menstrual flow should also avoid motherwort. 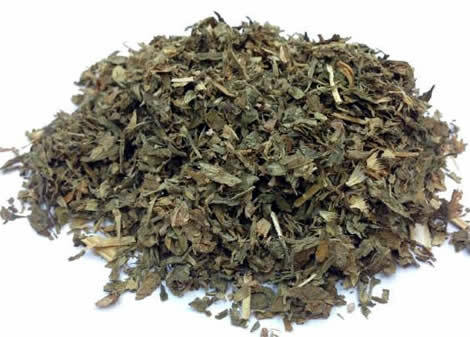 Anyone who has a heart disorder or who is taking any medication for a heart condition should consult a doctor before taking motherwort. People who are taking medication for thyroid disorders should also consult a doctor before using this herb. Motherwort has a long history of use without any negative side effects being reported when the herb is taken internally as an infusion or tincture. However, some people break out in a rash when handling motherwort leaves. There has been little scientific study of the interaction of motherwort and pharmaceuticals. 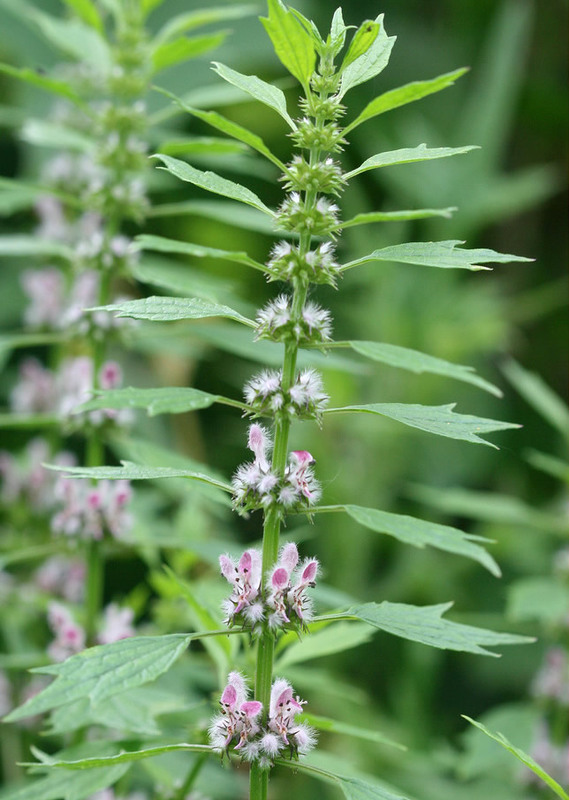 As noted above, however, people who are taking medications for heart, thyroid, or other serious medical conditions should consult a doctor before taking motherwort. The herb has been used in herbal mixtures for centuries without any known herbal interactions.